2 Bedroom Terraced House For Sale in Windsor for Guide Price £725,000. 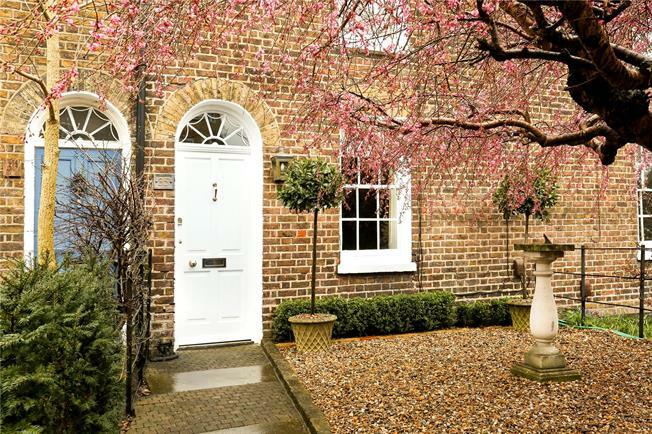 With origins back to the mid 1800's, a charming 2 bedroom Grade II Listed house with a contemporary detached studio, superbly located in a prime position within Windsors' 'Golden Triangle'. This property has views and direct access onto the Long Walk and is located near to Windsors central train station, the Castle and town centre shopping. A beautifully presented interior comprises of a sitting/dining room complimented with an open fireplace and sash window to the front. A traditional kitchen/breakfast room is superbly appointed with a shaker style kitchen including space and plumbing for a washing machine, dishwasher and fridge/freezer. This in turn leads to a further reception room with French doors to the garden. The first floor houses the master bedroom benefitting from two built in wardrobes and front aspect, bedroom 2 with rear aspect to the Long Walk and a superb traditional bathroom with roll top bath and inset shower. Kings Road is one of the most prestigious roads in Windsor situated in the Golden Triangle, combining easy access to both the Long Walk and the Town Centre. It is ideally placed to take advantage of the many features that the historic town of Windsor has to offer, including the Castle, River Thames, an eclectic mix of bars and restaurants and an expanding shopping centre. There are excellent transport links with mainlines to London Waterloo and Paddington (via Slough), the M4 junction 6 giving access to Heathrow Airport, London, the M40 & M25 Motorways. An excellent range of schools are available in both the Independent and State sectors, including St George's, Upton House, Queensmead School, Eton College, St. John's Beaumont, Papplewick and Lambrook School, Trinity St Stephen, Queen Annes, St Edwards Catholic Middle School and Windsor Boys and Girls Secondary Schools to name a few. The front of the property is neatly bordered by a low level picket fence. A beautifully landscaped garden sits at the rear featuring a paved terrace ideal for outside dining, a lawn and direct access to a residents area adjacent to the Long Walk which in turn leads to private gated access to the Long Walk itself. A superb timber and glass studio with power and heating sits at the rear providing an ideal office, gym or playroom if required.